Jack Neo should never be allowed near a teenage romance. Period. We were convinced of that just five minutes into his depiction of the blossoming love between Shi Shen (Tosh Zhang) and his Master’s adolescent daughter Xiao Yu (Eva Cheng). Indeed, you haven’t quite understood the meaning of cringe-worthy until you see them walking hand in hand to the tune of a sappy Mandarin ballad along the Fullerton bridge and then along the East Coast beach during sunset. So, as a favour to his fans as well as unsuspecting audiences, we urge Neo to lay off the romantic genre, even if it is but part of a larger narrative. 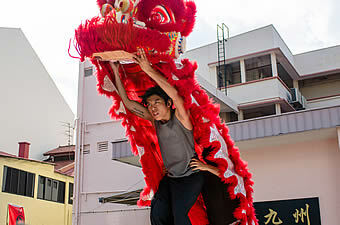 In the case of ‘The Lion Men’, that narrative is the rivalry between two closely knit ‘brothers’ - Shi Shen and Mikey (Wang Weiliang) - from the same lion dance troupe called the Tiger Crane Lion Dance Association. Besides finding themselves fighting for the affections of Xiao Yu, Shi Shen and Mikey are also rivals by circumstance precipitated by a difference in opinion between the former and their Master (Chen Tianwen) on the means by which to keep the lion dance movement alive and popular. While Shi Shen believes in modernising the movement by fusing it with hip hop, Master He is a firm traditionalist who views the mix as an insult to the art. And so against the backdrop of an upcoming lion dance competition, Shi Shen leaves to start his own troupe called The Storm Riders, placing him at odds with his former Master as well as Mikey, whom Master He grooms to take over his place. 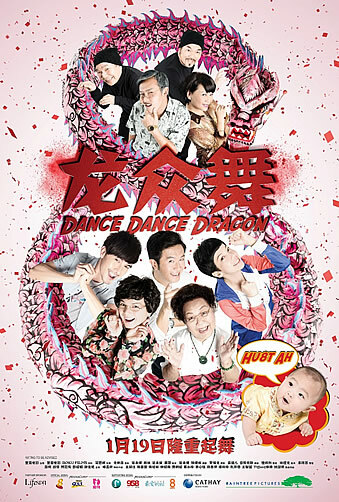 As cliché goes, Xiao Yu also happens to be the leader of the hip hop dance team which Shi Shen courts both professionally and personally - and viewers familiar to Neo’s style of theatrics should expect nothing less than a histrionic confrontation between father and daughter at some point in the film. Yes, Neo has never been a person of subtlety and one shouldn’t expect any different here. That said, Neo’s filmmaking here is equivalent to the impact of blunt-force trauma, made even more mind-numbing by the fact that it goes on for an interminable 130 minutes. There is no subtlety in the depiction of the rivalry between Tiger Crane and Black Hawk, which are laughingly portrayed as a bunch of dumb and unreasonable hooligans. Neither is there any subtlety in Mikey’s personal hurdle to overcome his fear of heights, which end up best remembered for yet another pointless use of CGI to bring to life a mechanised lion that is apparently the incarnation of his cute soft toy in his dreams. Ditto for Master He’s own struggle to come to terms with what he perceives as a stab in the back by his protégé as well as his flesh and blood, told by Neo with utterly zero nuance. Therein lies the problem in Neo’s two-part film – it just doesn’t know what it wants to be. 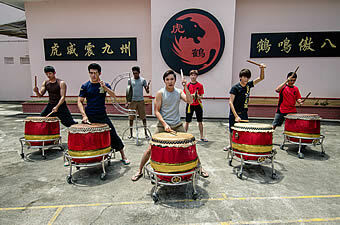 On one hand, it tries to paint a story of brotherhood not unlike ‘Ah Boys to Men’ in the bond shared among the members of the lion dance troupe, especially that between Shi Shen and Mikey, with a romantic triangle thrown in for good measure. On another, it tries to address the relevance of lion dancing in this modern age, with the noble theme of how tradition can stay exciting for a new generation with some degree of innovation. In addition, it also tries to be a heartwarming underdog tale for Mikey. And last but not least, it also wants to be a superhero movie by casting the lion dancers as ‘Lion Men’ (think ‘Iron Man’ or ‘Spiderman’), even to the point of indulging in some pointless CGI sequences with Mikey swinging through the CBD area dressed like a black ‘Spiderman’ like costume. 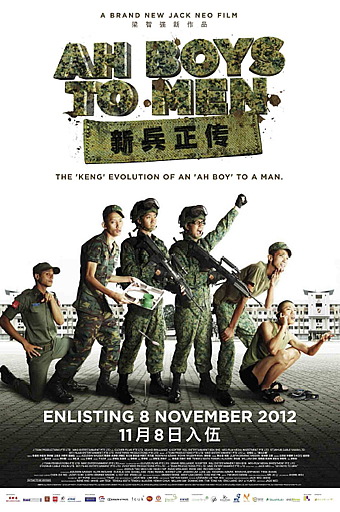 Whereas ‘Ah Boys to Men’ warranted the treatment of a duology by depicting the various stages of BMT, ‘The Lion Men’ demonstrates a complete lack of filmmaking discipline by Neo in being all over the place at the same time. Compounding the fact that it is overlong and over-indulgent is a surprising lack of humour. Neo’s best movies have always been amusing observations of real-life social issues, but there is none of that here. Sure, the Hokkien bits are still worth a laugh or two, but you get a sense that Neo is running out of ideas when a running joke in the movie has Mikey’s name being mistaken for Monkey. Absent too is the semblance of characterisation, which besides Shi Shen, Mikey and Master He, is glaringly missing. 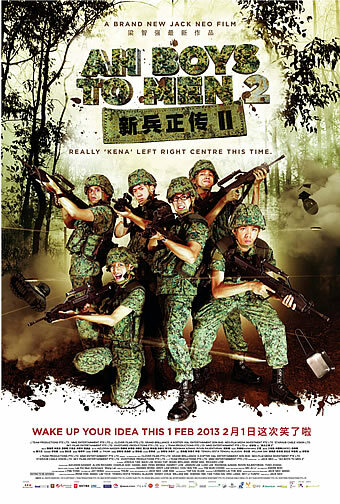 While Neo bothered to give his supporting acts in ‘Ah Boys to Men’ distinct traits that made them interesting and even memorable, there is none of that here – and as Mikey’s buddies, Noah Yap, Maxi Lim and Charlie Goh from ‘Ah Boys’ are simply forgettable. Even the charismatic Tosh Zhang and Wang Weiliang are given very little to work with this time round, and it is likely that their fans will find their performances underwhelming especially given their earlier stints. There is but one redeeming bit in the movie, and that is Ma Yuk Sing’s action choreography. The veteran Hong Kong stunt director turns what could have been a run-of-the-mill street brawl between some of Tiger Crane’s disciples with that of Black Hawk’s into a surprisingly exciting kungfu showcase. 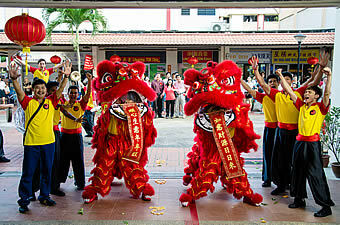 Ma also enlivens the lion dance performances in the movie, which are essentially the only parts where the film isn’t physically and metaphorically grounded. 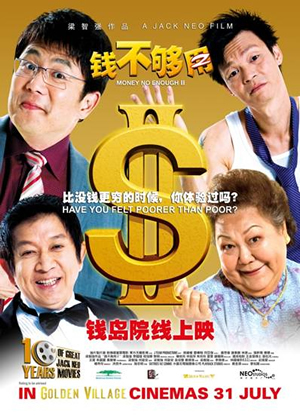 But Ma alone cannot quite make up for what will probably go down as one of Jack Neo’s worst movies. It is no secret that he has attempted here to replicate the unexpected success of his ‘Ah Boys to Men’ duology, from casting the same group of young stars to retaining the themes of brotherhood. Yet there's no shaking off the feeling that it is no more than a cash-grab attempt, with Neo content at throwing every whim and caprice on the big screen, so much so that the plot is simultaneously convoluted and underdeveloped and the characters just caricatures that hardly register. 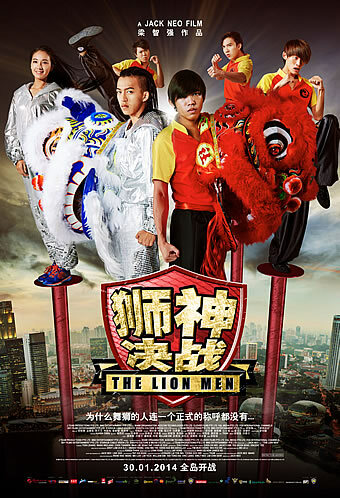 ‘Ah Boys to Men’ it certainly is not; indeed, this ‘Lion Men’ should be more appropriately titled ‘The Lame Men’.